Web News System: The great getaway begins: 6.4 MILLION travelers set off for the holidays as incredible flight tracker map shows how busy the skies are above the US. 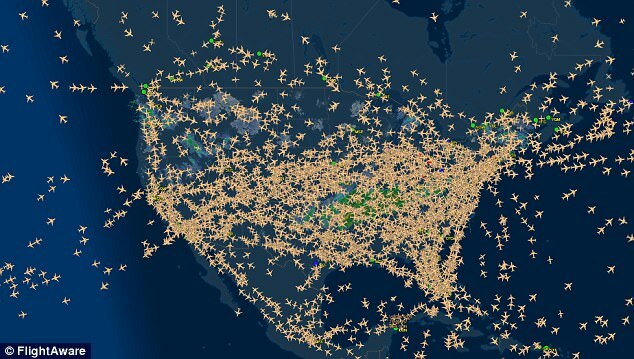 The great getaway begins: 6.4 MILLION travelers set off for the holidays as incredible flight tracker map shows how busy the skies are above the US. 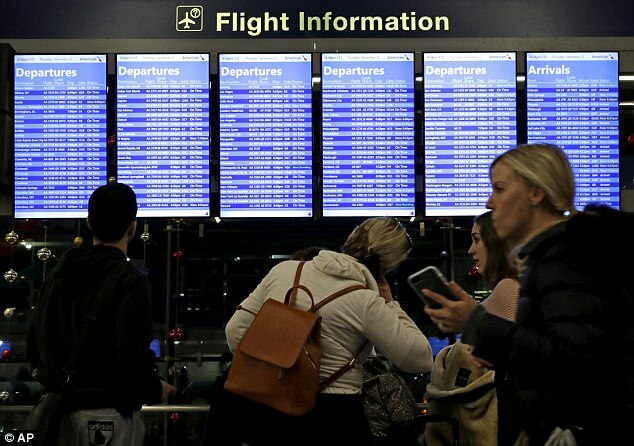 The holiday travel season has officially begun and an online flight tracker has its eye on the jam-packed skies across the continental US. FlightAware has provided an interactive map, showing up-to-date flight tracking for arrivals and departures across the world for the 6.4 million travelers this holiday season. Using airplane symbols to demonstrate flights, the tracker shows a thicket of planes traversing North America on Friday, which is so dense it's almost impossible to see the map beneath it. 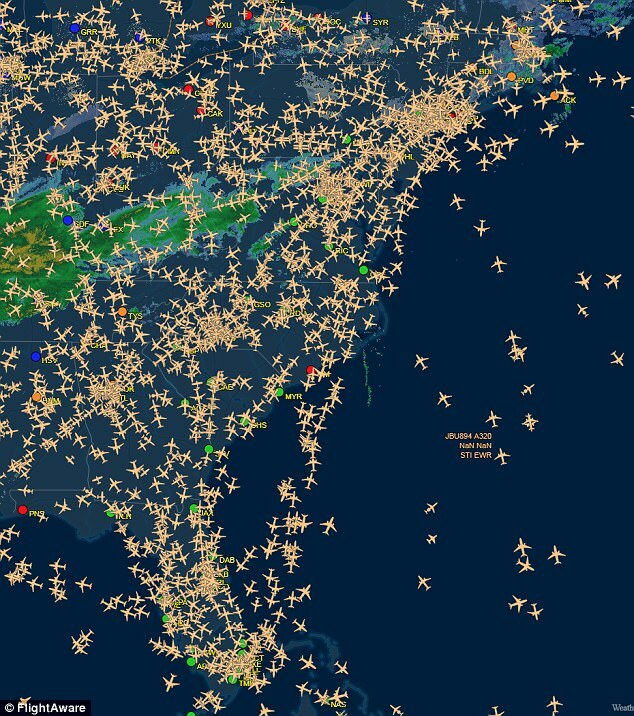 As of Friday evening, FlightAware said it was tracking more than 10,600 airborne aircraft with more than 113,700 arrivals in the last 24 hours. Founded in 2005, the company is reportedly 'the world's largest flight tracking data company' and was the first to provide tracking services at no charge to users, according to the website. Holiday travel is expected to be especially busy this year. According to a new AAA report, a record-breaking 107.3 million Americans will be taking to the roads, rails and skies between December 20 and January 1. In major cities across the country, the afternoons and evenings of Wednesday and Thursday were the the worst days to travel, according to AAA. Some 97.4 million are projected to drive while another 6.4 million are expected to fly while the remaining 3.5 million will be dispersed among trains, buses, rails and cruise ships, the report says. AAA recommends that, if travelers are driving, they hit the road early in the morning or after the morning commute, or drive on the actual day of a holiday. 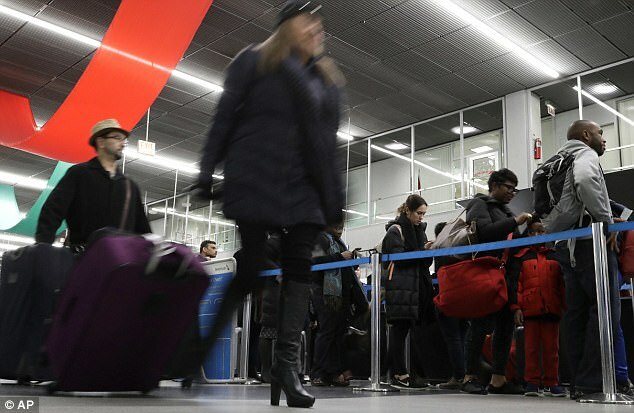 A prime example of the chaos of holiday traveling occurred in Chicago, as Friday marked the busiest travel day of the three-week holiday stretch at O'Hare and Midway airports. To make matters worse, restaurant workers at O'Hare walked off the job at noon on Thursday to protest for higher wages and affordable health care. 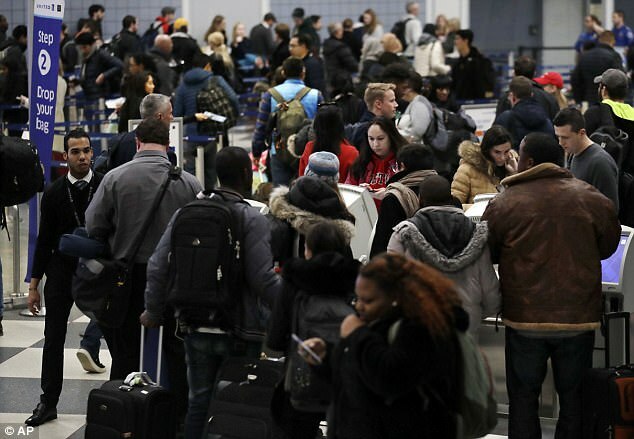 According to new data released from the company, holiday travel figures have risen steadily for the past nine years - skyrocketing by 21.6 million since 2005 - in large part thanks to 'the strong economy and growing consumer confidence'.